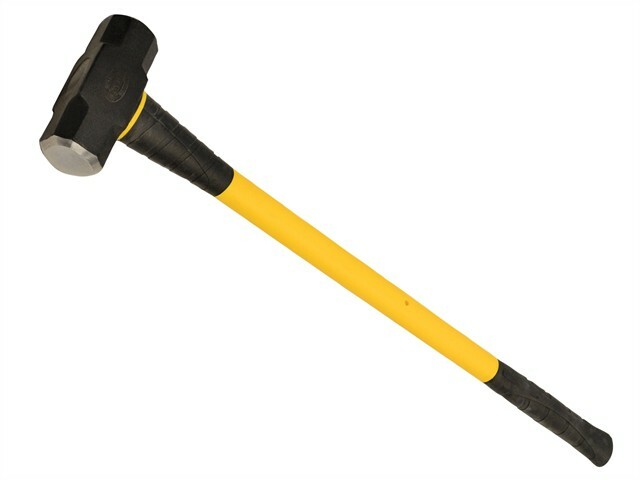 Faithfull general purpose sledge hammer for builders and contractors. Both striking faces are precision ground, specially hardened and heat treated to withstand the highest impact applications. Virtually unbreakable fibreglass shaft with a soft-grip, non-slip handle and overstrike protection.